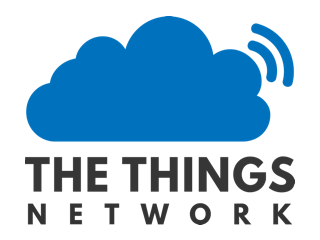 Does LORAWAN support FOTA updates for class A devices. The weightless community(another lpwan technology like nbiot) claim that only class C devices support FOTA and that too it is not scalable. They also say that FOTA will take long time for any device and during that time no other device can communicate with gateway. Is this true? LORAWAN has the problem of NOT having guaranteed QoS. But if we send from the end node confirmed transmit packets everytime we transmit data, will it not result in having guaranteed QoS. But it is advised not to transmit confirmed data packets everytime we transmit in LORAWAN. Why is such a restriction? The duty cycle restriction on devices is 1%. Does the gateway also have any duty cycle restriction? Where applicable all radio nodes have an imposed duty cycle - that applies just as much to the GW…which is of course ‘just’ another radio. In the context of EU(868) regs that is why we place GW’s on the more liberal (Tx Pwr & DC) download freq where we can go up to 10%…BUT…and yes its a BIG BUT! You need to remember that the devices - nodes and GW’s alike - are half duplex so even if GW runs up to its DC limit the other factor is a GW cant listen at same time as TX’ing (it is ‘deaf’ whilst sending your conf packet). If you req ack for every packet you will quickly saturate GW download capacity and you will limit capacity for even listening to other peoples nodes or ability to support new device join requests…so simple message DONT DO IT! Of course you then get cascade collapse as nodes that didnt get their ack start to get repeat sends queued up and eventually you log jam the system. An ack request perhaps every 100 packets - perhaps to have the node run simple watchdog and then reset itself or do a repeat join req - is perhaps on border of acceptable…or perhaps as often as every 20msg is you are well spaced such as say max 1 per day. If GW density is very high such that the Network server has several GW’s to choose from to handle Joint Reqs or Acks to any given close proximity node, then its poss to push limits but such situations are very rare in the community network.